Login to phpMyadmin on localhost (https://localhost/phpmyadmin/), select your database to see all the tables. Click on export tab. 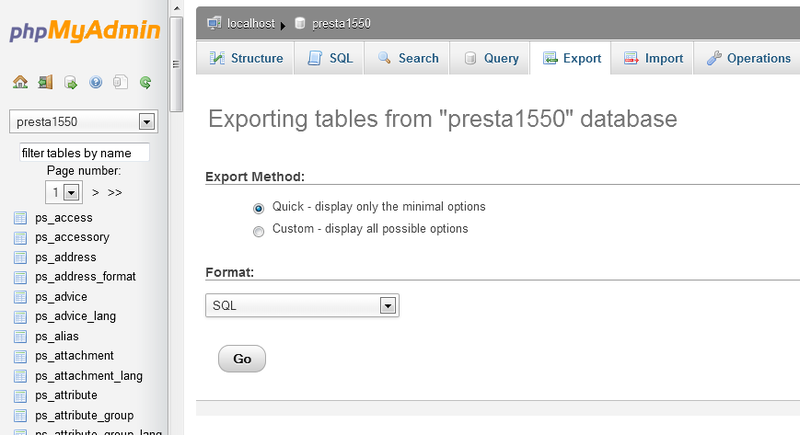 You can use “Quick” method to export it as .sql file or choose “Custom” and export database as compresssed file (zipped, gzipped, bzipped). I recommend compress the database, so you can upload smaller file in next step. Again, login to phpMyAdmin, select your database (usually you have to create it in administration of hosting account). Make sure your database has setup same collation (usually utf8_general_ci). 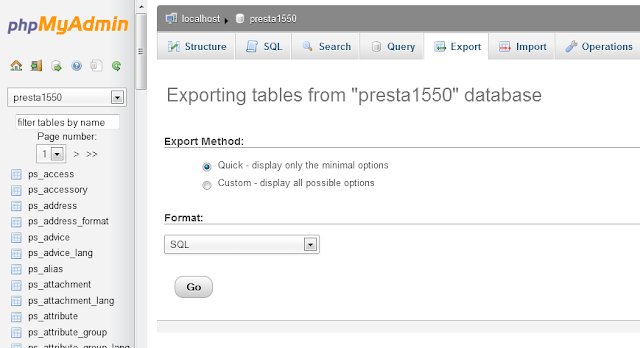 Click on Import tab, select database file that you exported in previous step and click GO. and change details for connection to new database (usually you have to change _DB_SERVER_, _DB_NAME_, _DB_USER_, _DB_PASSWD_). Go to Preferences – SEO & URL and save this screen. It will regenerate new .htaccess.